Many people only pursue a temporary or permanent disability claim for acute injuries. However, you can also visit a workers’ compensation law firm serving Baltimore to meet with an accident attorney about repetitive strain injuries. Any type of job and occupational industry has the potential to lead to repetitive use injuries. Since these injuries can grow progressively worse if left untreated, it’s advisable to consult a workers’ compensation attorney right away. Watch this video for a brief introduction to repetitive use injuries in the workplace. You’ll hear some startling statistics about occupational injuries and you’ll learn about the areas of the body that are most often affected by them. This video also explains the types of repetitive movements that are likely to lead to injuries. Employers are responsible for following OSHA guidelines to maintain a safe work environment. Even in a generally safe work environment, however, accidents can sometimes occur. 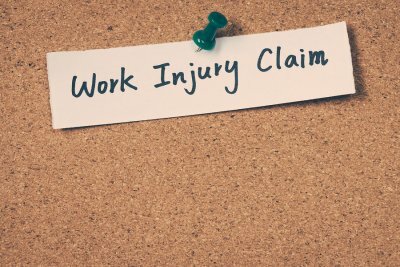 If you sustain injuries at your job in Baltimore, a workers’ compensation attorney can help protect your legal rights. An accident attorney can ensure that you follow the necessary protocols to receive workers’ compensation benefits. In the event that your initial claim is denied, a workers’ compensation attorney can file an appeal on your behalf. Many jobs require repetitive movements, such as bending and lifting, twisting and turning, and reaching and grabbing. Whether you work in a cubicle or on an assembly line, you could be at risk of repetitive use injuries. These can include carpal tunnel syndrome, back muscle strain, disc herniation, and tenosynovitis. While repetitive use injuries may not always be visible to the naked eye, they can be just as debilitating as a serious acute injury. Repetitive use injuries may lead to missed time at work and reduced quality of life. With the help of an attorney at law, you can obtain the benefits you need to rehab your injury. If your job requires you to use heavy machinery, your employer should have trained you to use this machinery safely. Your employer should also provide the necessary safety equipment, which may include safety goggles or face shields. Despite taking these precautions, workers may still suffer from serious injuries from machinery malfunctions or other problems. These types of injuries can range from minor lacerations to accidental amputations. Talk to your attorney if you think you may need to file a permanent disability claim in the wake of a serious injury. Falls are another danger common to many workplaces . Falls may occur in cluttered hallways or aisles, while carrying heavy objects, or while navigating a ladder or scaffolding. They can cause traumatic brain injuries (TBIs), bone fractures, internal trauma, and many other serious medical problems. After sustaining serious injuries in a fall, you may be out of work for quite a while. 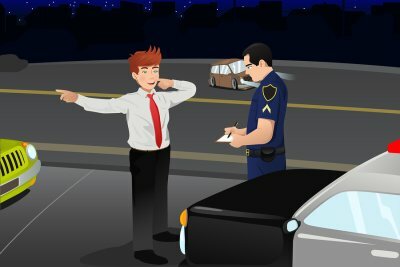 What Steps Should You Take if You Are Stopped for a DUI? As a driver, you owe a duty of care to everyone on the roadway. Part of fulfilling this responsibility involves never getting behind the wheel while you are impaired by alcohol or drugs. However, mistakes do happen and many people misjudge the extent of their impairment. If you do get pulled over on suspicion of DUI, you will need the guidance of a seasoned DUI attorney . Representation from a DUI attorney in Baltimore is your best chance of a favorable outcome. As soon as you realize that you are being pulled over, it’s essential to avoid giving the police officer any further evidence of your alleged impairment. Look for a safe place to pull over. While doing so, avoid driving erratically. Remember to use your turn signal to indicate to the officer that you are complying. Police officers are trained to watch for potential signs of additional problems, such as a confrontation. Acting suspiciously may mean that your DUI attorney will have to defend you from additional charges. As soon as you have parked your car, turn off the engine, turn on the interior light if it’s dark outside, and place your hands on the wheel. Do not reach for your driver’s license or registration until the police officer requests them. If you do so while the officer is approaching your vehicle, he or she will assume that you’re reaching for a weapon or trying to hide contraband. The police officer may ask you to perform a field sobriety test, such as walking the line. You have the right to refuse a field sobriety test. However, you should not refuse chemical testing because you will be subjected to penalties. Police officers do have to follow certain rules when administering chemical tests. You have the right to request an independent chemical test, in addition to the test administered at the police station. If you have sustained a workplace injury, it’s in your best interests to consult a workers’ compensation lawyer located in Baltimore. Legal guidance is especially important if your injury is severe enough to require hospitalization. A workers’ compensation attorney can help you by filing a temporary or permanent disability claim on your behalf. You can prepare for your consultation with the workers’ compensation attorney by gathering together copies of your medical records, the incident report, and your medical bills. 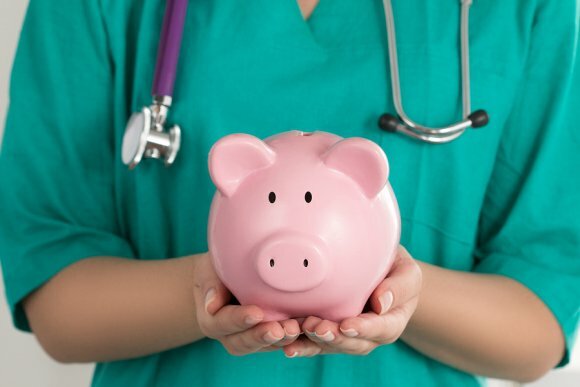 You should save all documents pertaining to your diagnostic tests, medications, lab fees, surgery, other medical treatments, and hospitalization. When your workers’ compensation lawyer files the claim on your behalf, he or she will argue that your injury was a direct result of occupational activities. This is essential for your injury and hospitalization to be covered under workers’ compensation. In the event that your initial claim for compensation is denied, your workers’ compensation attorney can file an appeal on your behalf. If you contact a DUI law firm near Baltimore, the DUI attorney will generally advise you to consent to an alcohol or drug test after being pulled over on suspicion of DUI . This is because Maryland, like many other states, has implied consent laws. As your DUI attorney can explain to you, violating these laws can result in significant penalties. These penalties can be imposed in addition to any criminal penalties that may result from a DUI conviction. You can hear more about implied consent laws by watching this video or consulting a DUI lawyer at a DUI law firm. This video explains that by obtaining the privilege of a driver’s license, you automatically consent to being tested for alcohol or drugs if a police officer has reason to believe you have been driving while impaired.